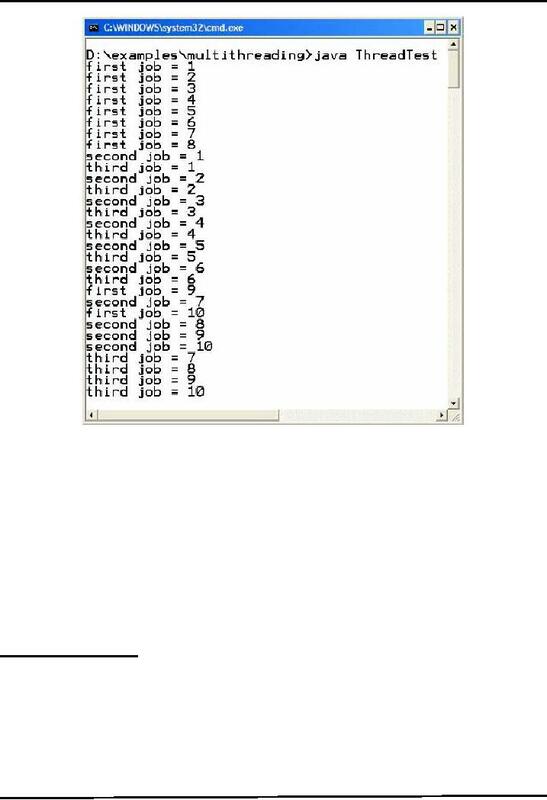 is a single sequential flow of control within a program. synchronization logic to avoid deadlocks and starvation. 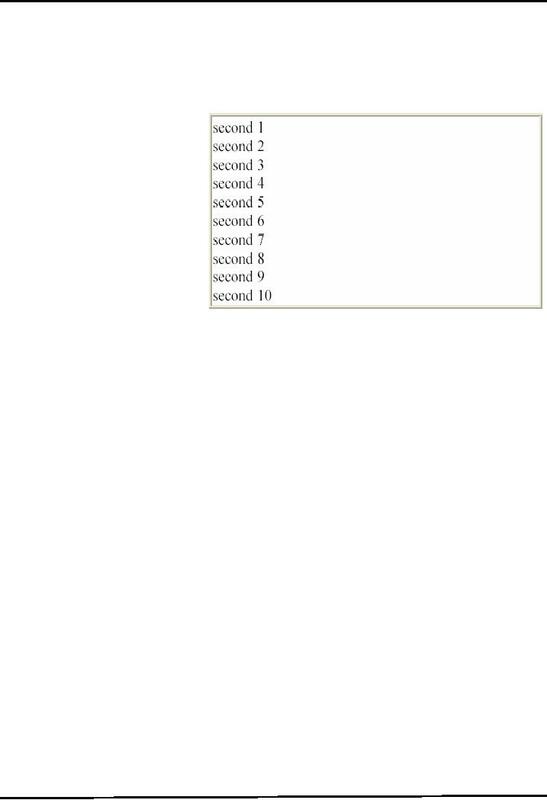 Note: Each loop has 5 iterations in the ThreeLoopTest program. 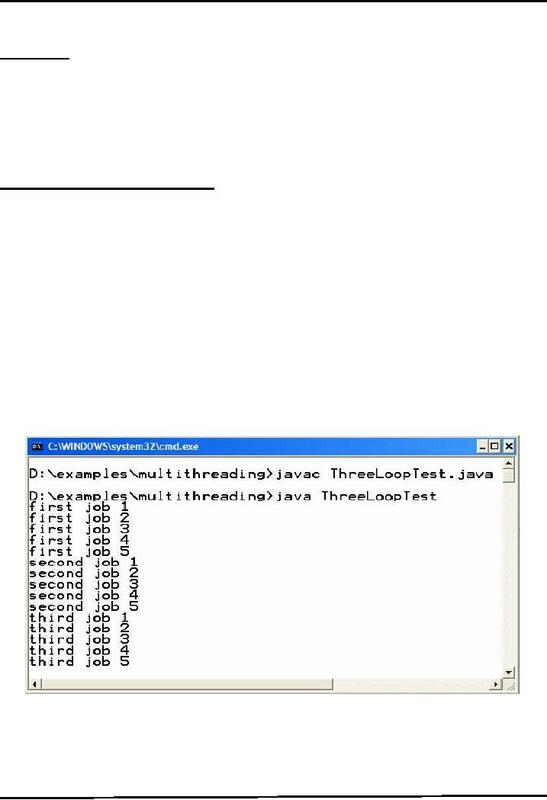 Let us code our first multithreaded program and try to learn how Java supports multithreading. different tasks of thread. Let's see how we can create threads? There are two approaches to create threads in Java. approach and then we will use Inheritance. creating thread i.e. parent thread. if the priority is not in the range MIN_PRIORITY to MAX_PRIORITY i.e. (1­10). For example, we can write the following code to change a thread's priority. A higher priority thread becomes Runnable. It yields, or its run() method exits. On systems that support time-slicing, its time allotment has expired. comes to an end, it chooses the next thread C to execute. 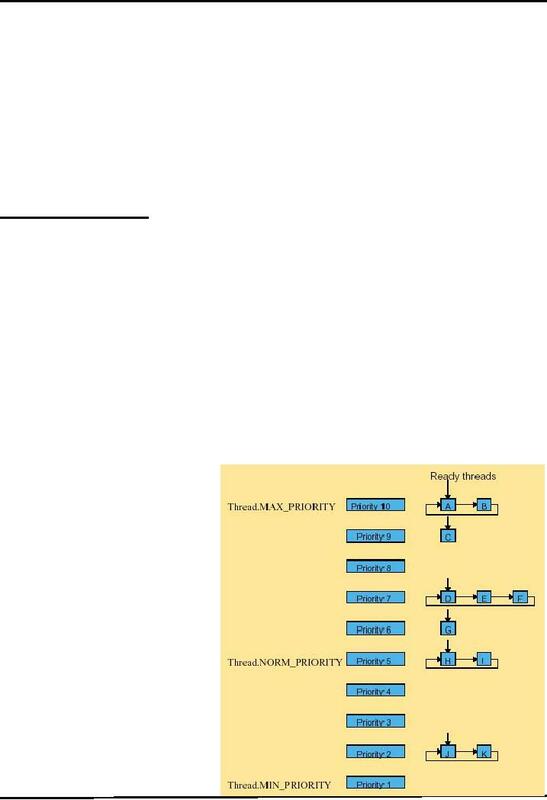 lower-priority threads if the higher-priority threads never terminate, sleep, or wait for I/O indefinitely.